IN AUSTRALIA our culture is somewhat death-denying. 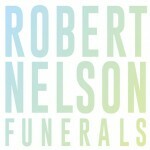 It is not a subject that we like to talk about; yet for all of us death and funerals are inevitable. There is a temptation to put it off, but you can save your family and friends a lot of trouble if you spend a little time preparing for your death while you are still alive and well. Planning your funeral in advance can reduce the stress your family and friends face at a time of intense grief. By specifying your wishes, you will get the sort of funeral that you would wish to have. It also means that your loved ones will not have to face making decisions at a difficult time. Once your funeral wishes have been discussed and set down, you can rest assured that your family will be empowered to make informed decisions about all your funeral-related issues and will be able to put your wishes into action. Your funeral wishes can also be used by your family to compare prices and obtain quotes from funeral companies in your area before they sign any funeral contract. NOTE: You should review your advanced funeral plan regularly so that your wishes and personal details are always up to date. Although people often include a paragraph about their funeral in their will, it may not be a good place to specify how you would like your funeral to be conducted. Another problem of specifying your funeral in a will is that too often, it is not reviewed until after the funeral service takes place, resulting in the deceased’s funeral wishes never being taken into account. Often it is left to loved ones to carry out the stressful (and sometimes distressing) task of sorting through documents and using other means to find out how finances were managed and who were the key people and organizations we had business and personal links with. As part of planning for your funeral wishes in advance, you should make lists of your important contacts and information. We suggest that you print the next four pages of this booklet and either write in — or make a separate document — with the information that will help your family to sort out and manage your affairs in an orderly manner. Then keep it in a safe place, known to your family. In the last part of this section, we also suggest you record information or anecdotes which will help the person who delivers the eulogy at your funeral to make it interesting, even at times amusing (there is no law that says funerals have to be completely serious and gloomy). Make a list of your family and friends, each with the relationship (e.g. daughter, workmate, friend at bowls) and a telephone number. Important contacts. These are the people we all rely on to make our lives work. Make a list of what they do for you, their names and telephone numbers (e.g. executor, lawyer, accountant, employer, doctor). Your relatives will have to sort out your affairs with a number of service providers. If you can, list for each a name, your Customer Reference Number, and a telephone number (e.g. water, electricity, gas, medicare, centrelink, local government, etc). Insurance – Even though you may have told your family about details like your health insurance company, chances are they don’t remember. Help simplify matters by providing the details they may need to submit claims or ask about survivor benefits. List the type of insurance, policy number, the insurance company and contact information. Other Important Information – Your Executor/Administrator or family will need to gather a variety of documents following your death in order to settle your affairs. Making a list of these key documents and their location can simplify this process and make it less stressful. Financial Information – Your family or your Executor/Administrator will need information about your assets after your death. Simplify the process by compiling information about your assets, investments and pensions. Your Executor/Administrator or family will also need information about any outstanding debts that you have. List the type of debt, account numbers and the name of the lender company. You should also list any credit or debit cards you have, with the issuing company. And finally, list any property you possess, with the best description you can manage (e.g. with artwork, the name of artist/s). You can pay for your funeral ahead of time and have peace of mind knowing that the money needed for your funeral has been set aside and that your family will not have to worry about how to pay the bill. Many people did not understand the overall cost of funerals. They were not aware of the alternative ways to meet funeral costs, such as prepaying by instalments or buying funeral bonds. The term ‘funeral plan’ was used to describe different funeral products in advertising material, making it difficult for consumers to differentiate between them. Many people did not understand some of the key features of funeral insurance: increasing premiums, total cost when compared to the real cost of a funeral, and what will happen if they miss payments. People struggled to find clear information about the different types of funeral products and the features of each type. Whether the funds are held in trust with independent trustees and where the trust deeds and names of trustees are published. What are my pre-payment options? You can save for your funeral by setting up a term deposit or online savings account and saving until you reach an amount that will cover the type of funeral you want. This could be all you need to do. You may find that you can save enough money to pay for your funeral this way. You choose the type of funeral you like and pay for it in full or make a deposit and pay instalments over a fixed period. Only some plans offer a refund if you cancel – always check this before committing. If you change your mind about a pre-paid funeral you may not be able to get your money back. Check the terms and conditions. Funeral bonds are usually offered by friendly societies or life insurance companies, and require you to make a lump sum payment or pay by instalments. The money is invested and can only be used to cover your funeral – it cannot be accessed earlier or for any other reason. 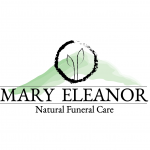 The funeral bond can be in your name or joint names; in the case of the latter, the benefit is normally paid on the death of the first joint owner. You can buy your bond upfront or you can pay in regular monthly payments until you reach the chosen value of your bond. For example, for a $6,000 bond, you may need to pay a deposit of around $500 followed by monthly instalments of around $40 to $50 per month. You may not be able to get your money back if you decide to discontinue the bond. Check the Product Disclosure Statement. With funeral insurance, you pay a regular contribution until age 90, after which time cover continues for free. The benefit amount is either fixed or increases over time, and you’re usually only covered for accidental death for the first couple of years. An age limit of between 18 and 79 years applies for taking out cover – the older you are, the higher the premium. Premiums can be fixed or increase each year, and can vary according to your gender and whether or not you smoke. If premiums are not fixed you won’t know how much they increase in subsequent years. If you stop paying your premium, you’ll no longer be covered and in most cases won’t receive a refund. Premiums for funeral insurance policies vary considerably. In one example, the National Information Centre on Retirement Investments calculated in November last year that monthly premiums between providers ranged from $72 to $120 for a cover amount of $15,000 for a 65-year-old non-smoking male. As most insurers only cover accidental death in the first two years, if you die from a terminal illness in this time you may not be covered. Check the policy’s terms and conditions. Life insurance can be taken out as a standalone policy or through your super fund. The cover amount is usually more than $100,000 and covers your dependents as well as your funeral costs. Financial institutions such as banks, building societies, life offices and superannuation funds also offer a range of investment products that may be associated with prepaid funeral contracts. Use our checklist to help you make a good choice. How much will your family receive when you die? How often do you need to make the payments? If you miss payments will the policy be cancelled? Should you cover your children? Does this increase the cost so much that you can’t afford it? How long will you make payments for? For example, do you make payments for a set period, such as 4 years, or do you make ongoing payments until your death? 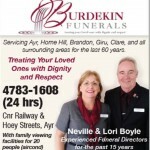 Talk to your local funeral directors to find out what different funeral packages cost. What happens if your needs change? Can you get a refund if you decide to cancel? For further information and advice on pre-paid funerals, contact the Managing Authority in your state. 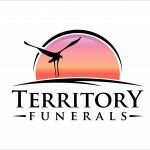 ACT In WA and the territories there is no specific legislation relating to Pre-Paid Funerals – individual pre-paid contracts stipulate the manner in which the funds are to be invested on behalf of the client. Funeral Guardians are people you designate to be notified upon your death and execute your advanced funeral planning wishes. Whereas a will sets out how you want your property and possessions to be divided after your death a funeral plan set how you want your funeral to be conducted. There are a number of companies that have set up on-line advanced funeral plans for people who want to plan their funeral before they die. 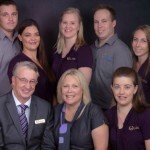 For example, http://www.ezifunerals.com.au has developed an innovative funeral planning website that links your personal funeral plans with your nominated Funeral Guardian. Once you choose your Funeral Guardian, they are notified by email and can accept or decline your nomination. If they accept, arrangements are put in place so they can only access your funeral plan upon your death. Your Funeral Guardian can then obtain a copy of your plan and ensure that your funeral wishes are acted on and you get the funeral that you wanted. As we travel along the life course, we experience many different stages and events. Our life may be long and fulfilling or it may be tragically cut short — but we all live a life that should be remembered and celebrated by our family and friends who are left behind. In days gone past, we often relied on older generations to pass down stories by word of mouth or record their own life experiences and events in a diary or journal. Unfortunately, for many of us, these stories and records were not kept and our parents’ and grandparents’ lives are often an untold story with many missing pieces. It is often left to family and friends to try to put the jigsaw puzzle together, so that a person’s life picture is complete and their story can be told. This is particularly important when a eulogy is delivered at a funeral; whether by a relative, clergy or celebrant, there is quite often disappointment if it does not do justice to the person whose funeral it is. By recording details (important dates, relationships, homes), anecdotes (some can be funny), even pictures, from your life story, you can ensure that your family and friends will have a deeper understanding of you and the life you lived and how you would like to be remembered. Doing this has got easier with today’s technology. Your life story can now be written on a computer, tablet or smartphone and either printed or stored on a digital device like a memory stick or CD. The following prompts will guide you as you look back on your life and record important events.